We would like to congratulate our 2016 Melvin Rinehart Memorial Scholarship Winners! The Iowa Snowdrifter’s scholarship program was started in honor of Melvin Rinehart who was a dedicated club and board member for many years. Each year the Iowa Snowdrifters awards scholarships to applicants who are a member or son or daughter of a member of an Iowa snowmobile club. They must submit academic and community activities that they were a part of and an essay of why snowmobiling is important to them. Please help us to congratulate our 2016 recipients! Josie Hajek is a 2016 graduate of Solon High School and will be attending Kirkwood Community College in the fall. She is a member of the Iowa Snowdrifters. In high school Josie played volleyball and was active in student council. Josie’s favorite part about snowmobiling is spending time with friends and family and all the fun they get to have with each other. Braydon Smith is a 2016 graduate of West Liberty High School and will be attending Muscatine Community College studying Farm Management and Agriculture Business. He is a member of the Eastern Iowa Sledheads. Braydon played basketball, football and golf. He was active in student council and FFA. 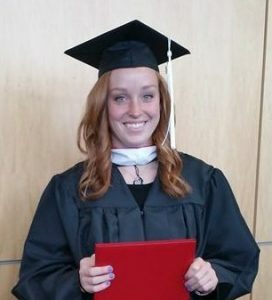 Gabrielle “Brie” Winegar is a 2016 graduate of Grand View University with a degree in Biology. She will be attending the University of Iowa school of Dentistry in the fall. Brie is a member of the Iowa Snowdrifters. During her time at Grand View University she was inducted into the National Honor Society. Brie’s favorite place to snowmobile in the Upper Peninsula of Michigan.